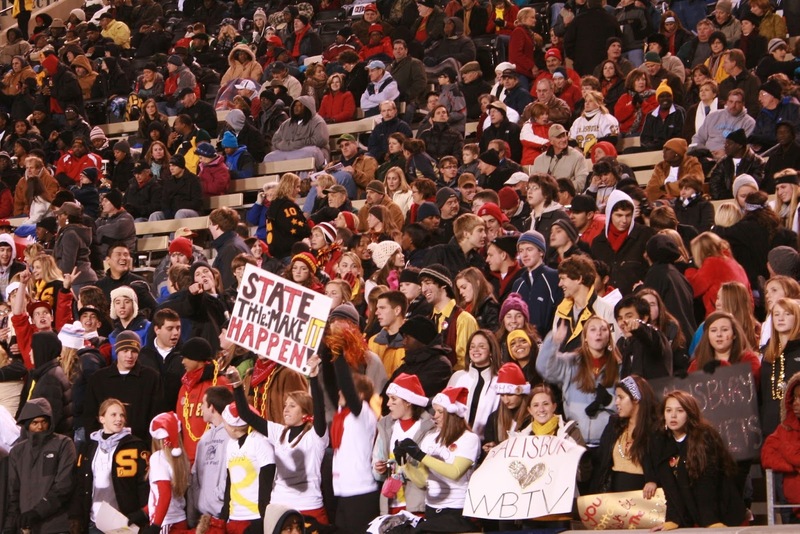 Sportsmanship is a significant part of high school athletics, and student cheering sections play a crucial role in creating an amazing Friday night experience. Think your school has the best student section in the state? The Carolina Gridiron Student Section Throwdown is your opportunity to show the rest of the state how your student section adds to the athletics experience of your community in a fun and positive way. Start by following us on Twitter, @NCGridiron, and liking us on Facebook and Instagram. Use the hashtag #CGThrowdown and post a picture of your student section in action. Once we have received your picture, you are entered into the contest and can compete for the title. Finalists for the Throwdown will be chosen based on how awesome of a hype Student Section video you can create. Videos should be uploaded to YouTube and the link e-mailed to throwdown@carolinagridiron.com. Videos must be submitted by October 15th. Carolina Gridiron will then create a YouTube playlist with all of the submitted videos that meet the criteria and are appropriate in content. After all videos are posted, Carolina Gridiron will choose finalists based on the criteria above. Fans from across the state will be encouraged to watch all of the videos and vote on their favorites via our Facebook, Twitter, Instagram, and YouTube pages. Shares, likes, and retweets will play a role along with votes via our website to determine a winner. To keep things fair between smaller and larger schools, total votes received will be divided by the average daily membership (ADM) of the school to determine a winner.